センターでは何ができるの？ What can we do at CODAMA? The objective of CODAMA is to provide environments where students can enjoy their handicraft and engineering work. 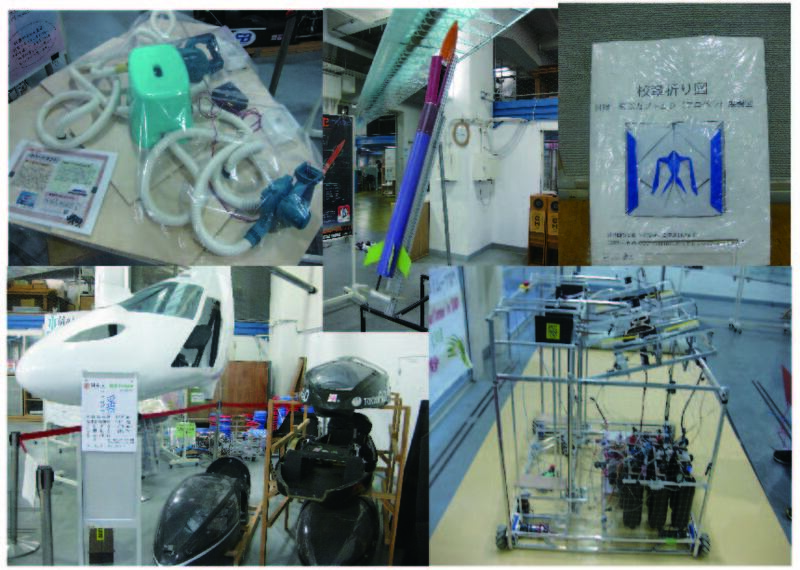 Machine and electrical tools are available for wide range of purpose including research and student-club activity. Once students finish their training lecture, they can use these tools as they like. Our intention is to let students develop their "manufacturing spirit" by experiencing the process of realizing their design and engineering. We hope that our activity encourages students to try to create what they want by themselves. What can we do at CODAMA? Our center has several tools ranging from machine tools such as lathes and milling machines to research facilities including Scanning Electron Microscope (aka SEM) and optical lithography. Wide range of work can be done by employing such tools. 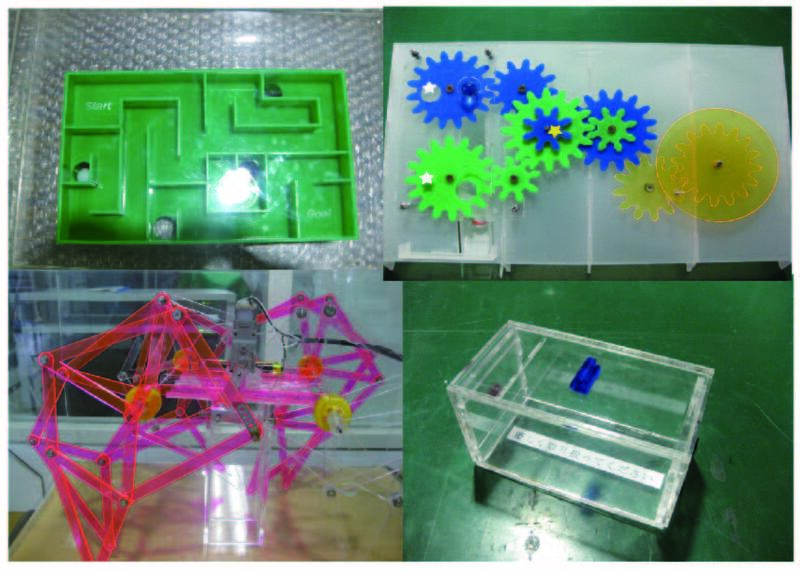 Some students may cut acrylic boards or wooden boards by laser cutting machine for building their architects' model. Other students may design and develop objects of their interest using CAD software such as SolidWorks. All tools an facilities available are listed at CODAMA website. For any inquiries please contact us. You may have encountered with frustrating situations where you are not able to create things due to the lack of facilities and resources. With CODAMA and its facilities, you will be able to create any objects you want. Please enjoy the excitement of manufacturing. Collaboration Center is open on weekdays from 9:00 to 20:45. For those who wish to use the center after 16:45, application for overtime use must be submitted beforehand. From 16:45 to 20:45, student research assistant(RA) will support you. During summer and winter breaks, as well as examination periods, opening times may be altered to 9:00 to 17:00. Please feel free to contact us for further information. All students and faculty members of Tokyo Tech can use the Collaboration Center. For some equipments such as laser cutting machines or lathes, users must take a training session and obtain a license before first use. Certain other rules also apply: for some work carrying risks, we may decline the application of use. Please feel free to contact us for further information. An extra fee covering the consumable supplies and maintenance is charged for these equipment: Large printer, SEM,Photo lithography and Sputter. The total fee for April to next March will be counted and transferred from the budget of the following year. Please submit the application form before the first use to register. It should also be submitted when changes apply to the registered information. Application form for fee transfer can be downloaded from the link at the bottom of this page. No application will be accepted on or after 19:45. No application will be accepted on or after 16:00. ※If the printing does not finish in time, contact staff or student research assistant(RA) for further instructions. ●When there is no staff in the staff room,ｔhe printer cannot be used. ※After 5p.m. users can stay untill 8p.m. by submitting 'Application Form for after 5p.m.'. ※Student research assistant(RA)will be avialable after 5p.m..
※The Center is closed on Saturdays,Sundays and National holidays. 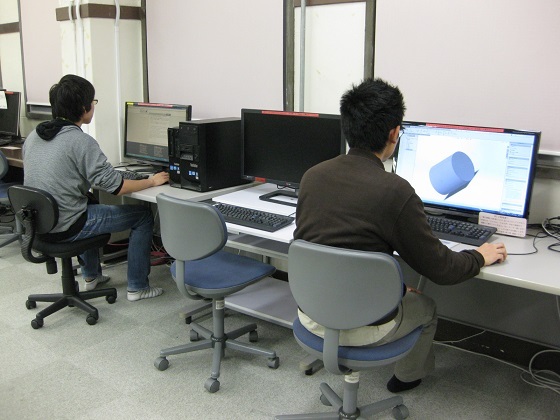 Only students and faculty members of Tokyo Tech are eligible to use our facility. Some machines need safety training course before using them. If you do not follow the rules of the Monotsukuri Center, your privileges may be revoked. ・Ask staff for permission before using tools. ・Wear work clothes and shoes if you plan to use a large machinery. ・Pay close attention when using machines and tools. ・Inform us if you find something unusual; such as strange smell, sounds, and so on. ・Before you leave, please clean up. ・You must not sell any products you make here. ・Bring chemicals and all necessary materials, such as Kim Wipes or gloves. ・Take waste back to your own laboratory. ・Do not pour chemicals down the drain. Please bring a plastic container to put it in for disposal. ★If you want to leave your container in our laboratory temporarily, please let us know.